From 16 to 27 of October 2018 Social Anthropologists of the Institute for African Studies (RAS): corresponding member of RAS, Dr. Sc. (Hist), prof. D. Bondarenko (project manager), junior research fellow A. Lapushkina, folklorist of the World Literature Institute (RAS) – V.Klyaus, and the head of the Russian Orthodox Old Believers Church mission in Uganda – Priest N. Bobkov, worked in the Republic of Uganda (in the capital Kampala and Nakabaale, Kisojjo, Kapeke). 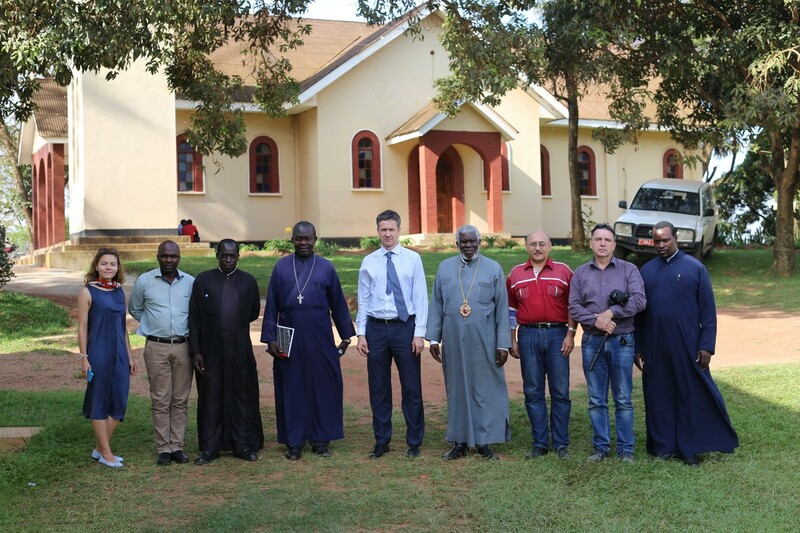 This study was the second stage of the three-year (2017-2019) scientific project “Orthodox Christians and Old Believers in Uganda: Socio-cultural Processes in African Christian Communities”, grant RFBR (Russian Foundation for Basic Research) №17-01-00148. The aim of the Project is to study the phenomenon of Ugandan Orthodox Christianity and Old Believers in its socio-cultural aspect. The second season of field research was devoted to the study of the Orthodoxy and Old Believers phenomenon. The first expedition of this season within the framework of the grant was conducted by Dr. A. Tutorsky and his student from Moscow State University I. Burtsev from 25 of July till 8 of August. This expedition was aimed to study the folk culture of the Orthodox Church in Fort Portal (western Uganda). During our expedition, 26 structured interviews were conducted, and the following ethnographic material was collected: videotapes of the Ganda people traditional wedding and religious part of the same couple’s wedding in the capital’s Old Believers Church; videotapes of the morning Sunday service in that Church, as well as prayers in the old Believer chapel under construction in Nakabaale. In addition, the everyday life was also recorded in the villages where Old Believers mostly live: cooking, sewing, ironing clothes, collecting coffee, working on a bird farm, etc., and local folklore. Сentral state television channel UBC (Uganda Broadcasting Corporation) was interested in cooperation with the famous Africanist Professor D. Bondarenko. Finally Professor gave an interview to UBC and lecture at the Busitema University on “Nation Building and Historical Memory in the Postcolonial States”. We are grateful to the Russian Embassy in Uganda for their contribution in organizing these activities. In Russia, actually nothing was known to the wide audience about the presence of Orthodox Christians and Old Believers in Uganda before our first season expedition. Furthermore, the recent, complex, and specific phenomenon of the African (particularly Ugandan) Orthodox Christianity and Old Believers has never been analyzed either by Russian or foreign scholars.